INFINITI of Gwinnett parts and accessories have the selection you need and the quality you trust, so contact us for your genuine INFINITI parts now. INFINITI replacement parts Atlanta or whatever your INFINITI service needs are, we can find it for you, in the best condition. Discount auto parts in Atlanta are our specialty. The Parts Department at INFINITI of Gwinnett maintains a comprehensive inventory of high quality genuine OEM parts. Our highly knowledgeable staff is here to answer your parts inquiries. Should we not carry a part for which you’re searching, we can always order it for you and receive it within a timely manner. 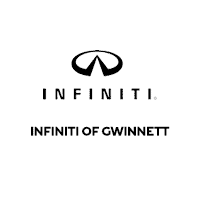 There is almost no limit to the INFINITI of Gwinnett parts and accessories we provide. New parts, used parts, late-model parts – all of our stock and whatever we can locate, we’ll get it to you fast and cheap, and in a condition you can depend on. If you need warranty discount auto parts in Atlanta, we can help with that. Our INFINITI replacement parts Atlanta comes with our expert technicians’ approval.